Dr. Ricky Singh graduated from the University of Pennsylvania in 2002 where he received his D.M.D degree. Shortly afterwards he completed a Dental Residency specializing in Cosmetic Dentistry and Dental Implants. Dr. Singh is well recognized in the bay area and has been serving the community for the past nine years. He is very well trained, experienced, enthusiastic, and motivated in the very best professional tradition. He keeps current with continuing education courses so that he can provide to his patients the most advanced dental care and treatment. 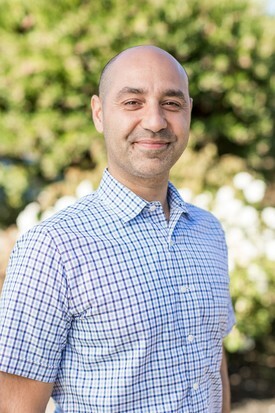 Dr. Singh is a member of the California Dental Association (CDA), American Dental Association (ADA), DOCS, and the Contra Costa Dental Society (CCDS) in addition to being a certified LUMINEERS and Invisalign Specialist. 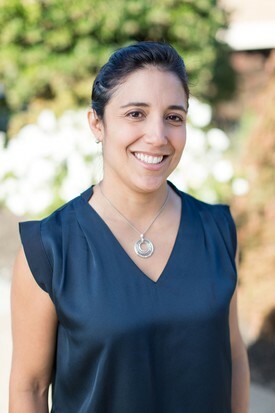 Dr. A. Melissa Lopez is a Chicago-native who recently relocated to the Bay Area from the Midwest to join her husband, Dr. Ricky Singh. Dr. Melissa graduated from Chicago’s St. Ignatius College Prep in 1995. She then moved to the East Coast to attend the University of Pennsylvania where over the next seven years she earned a BS in Biology from the College of Arts and Sciences, a DMD from the School of Dental Medicine and a MSEd from the Graduate School of Education. Dr. Lopez then returned to her hometown of Chicago to complete a general practice residency and a pediatric dental specialty residency at Illinois Masonic Medical Center and the University of Illinois at Chicago respectively. Dr. Melissa is board certified in pediatric dentistry by the American Board of Pediatric Dentistry, and also holds a MPH degree from the University of Illinois at Chicago School of Public Health. Dr. Lopez has served organized dentistry and the public through several positions on committees and boards of the Illinois Society of Pediatric Dentists, the Greater Chicago Hispanic Dental Association, the Chicago Dental Society and the Illinois State Dental Society; she is also a trained spokesperson for the American Academy of Pediatric Dentistry, a fellow of the American College of Dentists, and has helped film a pre-natal video for the American Dental Association. In 2010, Dr. Melissa completed the PURE Yoga 200hr teacher training to become a certified yoga teacher. Besides her love of yoga, she also enjoys reading and spending time outdoors. She is learning the art of cooking and would love it if you shared one of your favorite recipes with her! Dr. Melissa provides care in English & Spanish.